In a time where everything can be found online, it is difficult to imagine how small independent bookstores stay in business. The Book Trader shows that digital and bigger aren’t always better. The Book Trader, a small bookstore in Philadelphia’s Old City area, is located on 2nd and Market Streets, and offers a variety of used books at reasonable prices, as well as a small reading area and friendly staff. From the moment of arrival, customers are surrounded by books. There are boxes of records and books outside of the store for one dollar or less, and from there they begin the overwhelming journey through stacks upon stacks of used books. There are sections of every type of book imaginable, and boxes upon boxes on the first floor, filled with books waiting for a place on a shelf to open up. With such a large selection and friendly employees, it seems difficult for book lovers to want to shop anywhere else. However, digitization of books and magazines has increased in recent years, making it difficult for the little guys to keep up. However, he’s not too concerned, joking that “there will always be a niche for vermin such as we to pick up the crumbs.” It certainly seems that way. During my short visit, many people went in and out of The Book Trader, including students, teachers, and people casually browsing. 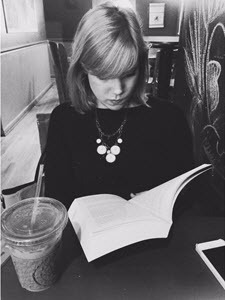 Kimberlee Wright, a student passing through The Book Trader, “loves coming in for books to read for pleasure and for school. They have reference books and anthologies cheaper than at the book store on campus.” It’s true, on the second floor of the shop are various anthology and reference books that come in handy for college students. 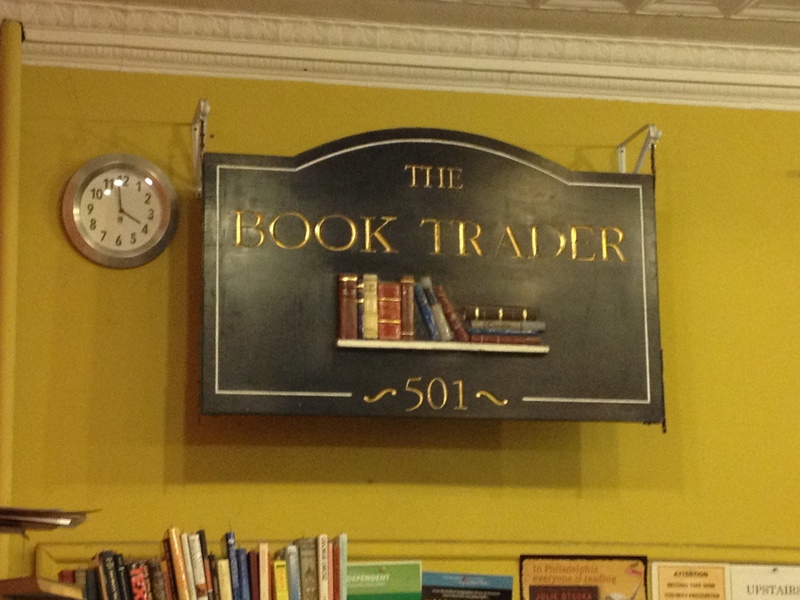 While it may be easy to assume that small book stores are crumbling due to the Nook/Kindle phenomenon, The Book Trader offers a breath of fresh air, an example of a small store staying strong in a difficult economic time. The Book Trader is fabulous! I could spend hours upon hours just browsing in there. . . . And I will always, always prefer the feel of real books with pages and binding to the cold technology!